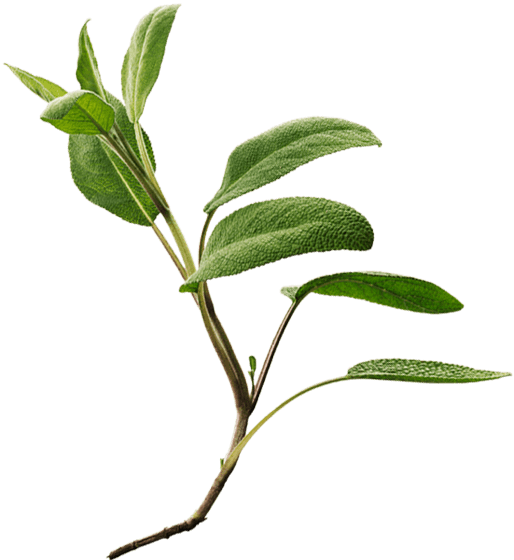 The Latin name salvia officinalis is derived either from the Latin salvus, which means “healthy”, or salvare, meaning “to heal”. The name officinalis is derived from officina, which stands for the traditional storeroom in an apothecary where the herb was kept. It also refers to the fact that the herb is officially used as a medicinal plant. During a major outbreak of plague in 1630, faith in the healing effects of sage was so strong that thieves in Toulouse rubbed a sage/herb/vinegar mix into their skin to protect themselves against infection before going out into the night to rob cadavers. When caught, they were told that their lives would be spared if they revealed the secret of how they inoculated themselves.